Chiharu Shiota, The Home Within. 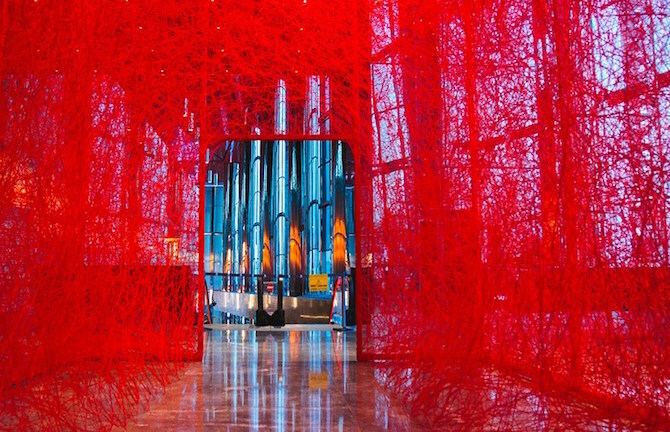 Using Chiharu Shiota’s monumental commission for Melbourne Festival The Home Within as a focal point, this panel explores the notion of home and mobility in art and architecture. Join Larissa Hjorth (artist and digital ethnographer in the School of Media & Communication at RMIT University), Anais Lellouche (curatorial director, Anna Schwartz Gallery) and Jan van Shaik (co-director MvS Architects and researcher at RMIT University) as they delve into Chiharu’s work, as exhibited at Deakin Edge from 6 October before embarking on a journey around the city. We invite you to seek Chiharu’s work, and join us for further exploration at this MTalks panel, here in the Queen Victoria Gardens.